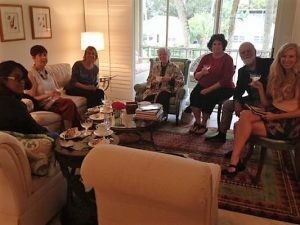 The Southwest Florida JASNA group held their third annual Jane Austen Birthday Tea on Saturday, December 9th at the home of JASNA Member Karla Benton. Karla graciously provided her lovely home, which has numerous framed Regency prints, that the members enjoyed viewing. 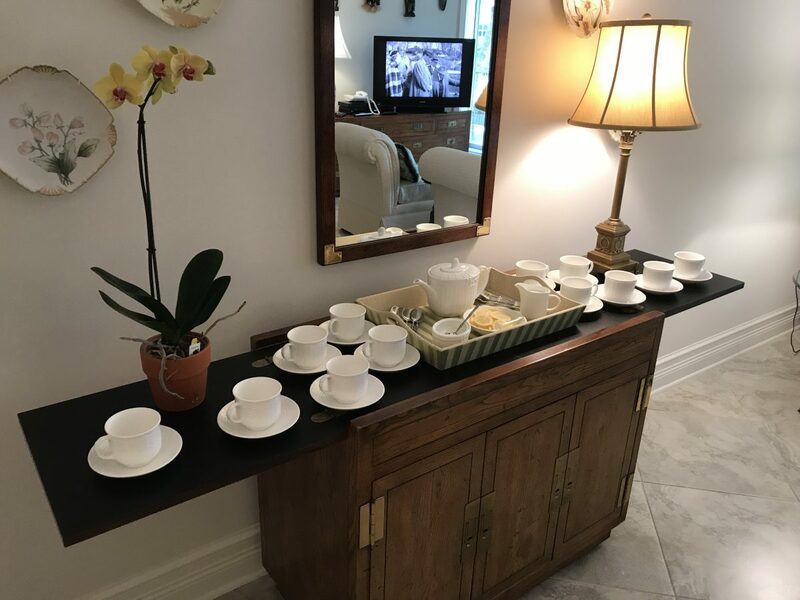 The attendees also enjoyed a variety of sweets, sandwiches, and teas generously provided by some of the members in attendance, and Karla provided the crowning touch with an authentic Regency cake. We also enjoyed a lively discussion of Regency food and tea led by Anja Carlson and tasted her special blends from her Regency Teas line. Jerry Vetowich toasted Austen and her achievements with a wonderful reading of a toast to Jane written by Zoe Kaplan and each member shared his or her favorite Jane Austen passage. But she’ll only admit, well to 239! And she’s come to this point full of fame, and just fine! And her world reputation just deepens and swells. May she always continue to please us the most!